I am a huge fan of Jan’s. This is a one-woman shop based in New Hamshire. Jan makes all her ring slings by hand and they’re in high demand. I waited a month for her to open her shop (I had missed her last shop opening by a few days!). I own a linen ring sling, and I used it often when baby was younger than a year. Jan’s shoulder options include an “Eesti” option, which is a hybrid of a boxed and gathered pleat. I have her signature “overlapping knife pleat.” Check out her Facebook Page for store openings and updates, as well as the Facebook group. To me, Sakura Bloom slings are like the Mercedes of ring slings. (I’d have to give the Ferrari of slings to woven wrap converted slings – WCRS.) Sakura Bloom offers linen and silk ring slings. Unlike SBP, there is only “one size.” So if you’re short, the tail may be long. (That’s ok. You can use the extra fabric and roll up to make a “cushion” for baby’s neck at the top rail or use it as a nursing cover.) There are a few wonderful Facebook groups dedicated to Sakura Bloom slings: one is a buy/sell/trade (BST) group and the other is fan group. Note: these are closed groups so you have to request to join. 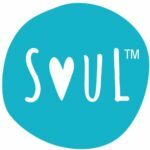 Headquartered in Bangalore, India, Soul Slings are also one-size and made of linen or cotton. Those fabrics will make it nice and breathable (and lightweight!). This family-owned business not only makes slings, they also make carriers. 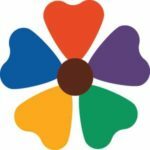 I’ve been lucky to work with them on an International Babywearing Week giveaway, and I can’t wait to partner up with them again. 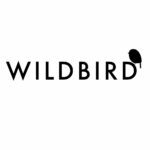 You might have heard of this brand as it’s been out in the market for a while. In fact, when I was looking for a ring sling, Maya Wraps was the first brand I looked at. Their ring slings have a lightly padded shoulder, which is enticing. (In my experience, a non-padded shoulder works well, too.) Maya slings come in different sizes and shoulders, which is nice if you want a longer (or shorter) tail. This is a small business shop, also owned by a woman. Her ring slings are double layer slings and sewn with an “Eclipse” shoulder; I believe this is a proprietary “shoulder.” What sets her apart is her double fabrics – they’re not just a single color. There are prints and wrap conversions. Sweet Pea also offers water slings – it’s still hot here in LA, and a water sling would be fantastic for the beach! This is one of the few brands that design slings and wraps to go into the water! 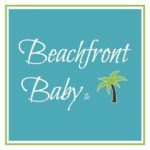 Beachfront Baby is a woman-owned business is based in Texas and three of their colors are milled in the US. In addition, the bulk of the sewing is by work-at-home-moms. The ring sling will hold a baby between 8-30-lbs and it is machine washable. Known for their woven wraps, Hip Baby Wrap just launched their silk collection of ring slings. They also offer ring slings made out of their lightweight woven wrap material – 100% cotton and non-toxic dyes. Not a fan of woven wraps, the company also offers a honeycomb weave that is lighter weight and more breathable for bby. 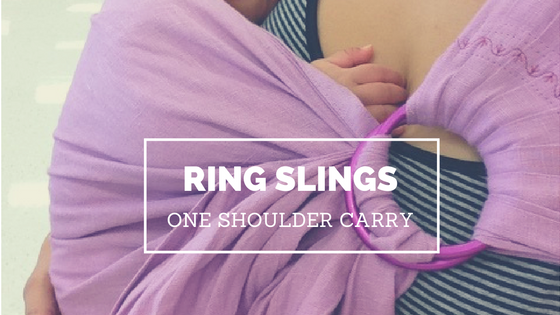 * There is just a sample list of brands and makers of ring slings that we are familiar with. There are plenty of other brands and makers out there that we haven’t highlighted yet. Check and see if your maker of choice is CPSIA-compliant and a member of BCIA in good standing. (This is the Baby Carrier Industry Alliance.) If you don’t see the compliance symbol, ask the manufacturer. Please do your due diligence and ask questions!